Kevin Brodwick attended the University of Texas in Austin. His real education came through a rather unique upbringing with two parents deeply imbedded in the science world. Having growing up listening to Nobel Prize winners at the dinner table describe complex health issues, Kevin became uniquely focused on how to bridge the gap between scientific research and how it could be consumed by the people that needed to understand it the most. After working with a laboratory funded by the National Institutes of Health (specifically focused on testing products for estrogenic activity – largest type of endocrine disruptor), Mr. Brodwick became aware of extent to which harmful chemicals were present in everyday products. After unsuccessfully convincing large consumer product corporations to alter formulation, Mr. Brodwick took it upon himself to create an alternative line of consumer products. In 2006, Mr. Brodwick created Thinkbaby and Thinksport to address the growing concern and need for safer products. 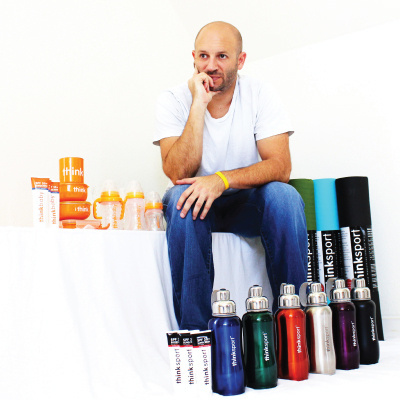 Through connection to the science community and use of the Precautionary Principle, he built a company that now offers products to a global audience. Time is dedicated to targeting and developing new solutions, educating the world on chemical issues, and giving back to non-profits that are also part of the movement to make the world safer.